The team of Los Angeles-based Naval investigators is opening “NCIS: Los Angeles” season 10 episode 14 immediately with an action-packed sequence. Callen (Chris O’Donnell) and the team will have to borrow some moves from the popular movie franchise “Fast and Furious” while chasing some bad guys. Fans of the Vin Diesel-led movies will be delighted just by watching the brief promo video for “NCIS: Los Angeles” season 10 episode 14. 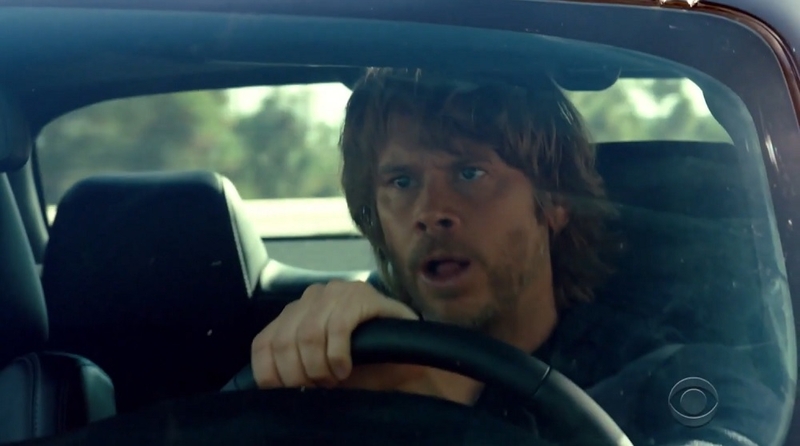 It opens with Deeks (Eric Christian Olsen) going after a trailer truck. To prevent the targets from getting away, Callen decides to climb on the hood of their moving car and jump onto the truck they are chasing — just like the characters of “Fast and Furious” did. It turns out that Kensi (Daniela Ruah) and Sam (LL Cool J) are already inside the trailer. Kensi is busy fighting off one of the bad guys. A few inches away from her is Sam seemingly trying to diffuse a massive explosive. Staying true to the “Fast and Furious” theme in “NCIS: Los Angeles” season 10 episode 14, they are doing all these things while the truck is recklessly speeding along a major highway. The narrator mentions in the “NCIS: Los Angeles” season 10 episode 14 preview that these fighting scenes are happening within the first 90 seconds of the show. The fact that the episode is starting with an action-packed sequence means that something bigger awaits later in the show. The synopsis for “NCIS: Los Angeles” season 10 episode 14 only says Callen’s team will be working with FBI agents in locating a terrorist cell and foil an imminent terrorist attack in the city. But the episode is titled “Smokescreen,” which by definition refers to a decoy plot to confuse the enemies in a military operation. The question now is whether the federal agencies are the ones setting up the smokescreen or they are the ones getting fooled with it. “NCIS: Los Angeles” season 10 episode 14 will air on Sunday, Jan. 27 on CBS.